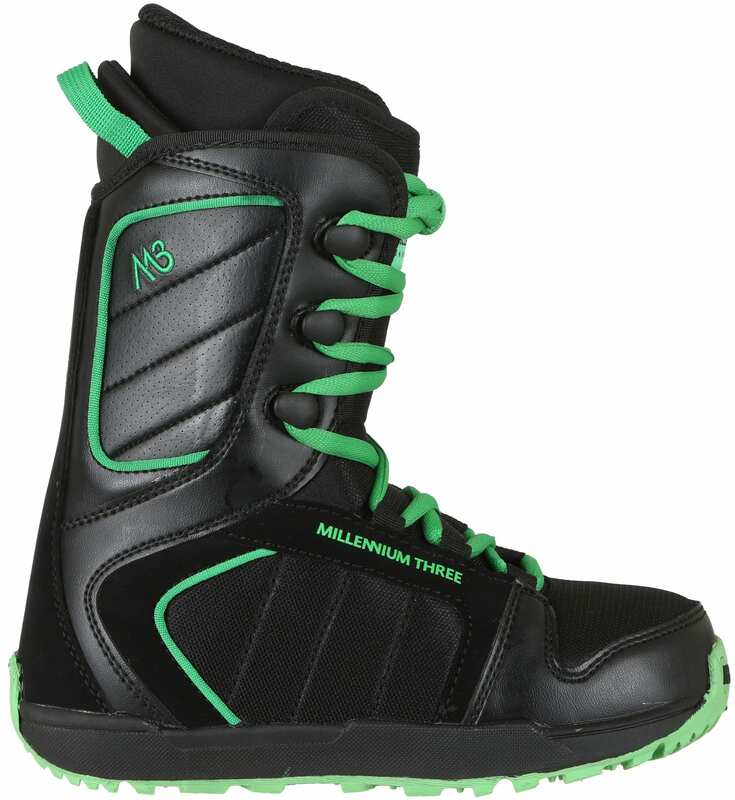 Send your little shredder out onto the slopes in the M3 Militia Jr. Snowboard Boot. This boot was designed for your little snowboarder's extreme adventures. Constructed with a durable, waterproof neoprene flexible shell you can be confident in sending them out on the hill to explore the world. 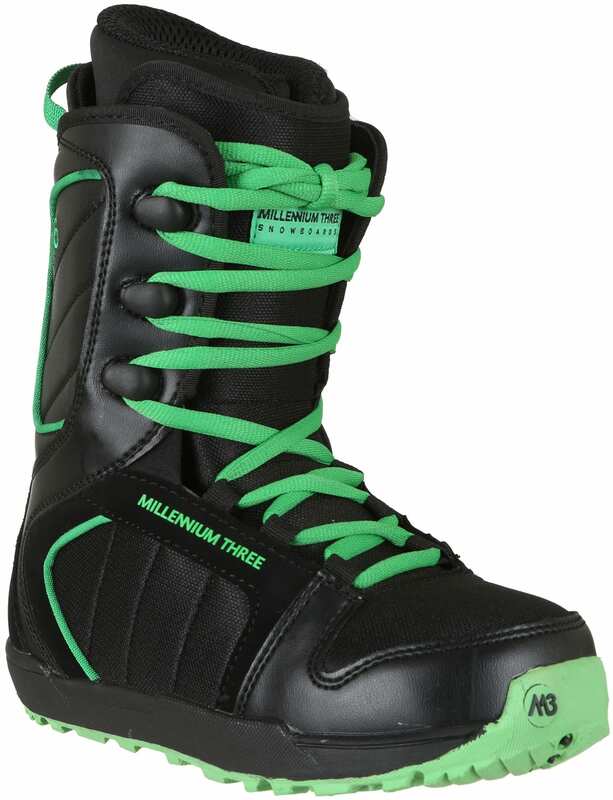 The M3 Militia Jr snowboard boot is a softer flexibility so it allows your favorite pal to feel more of their motions and really hammer down all of the skills and maneuvers you've taught them along the way. 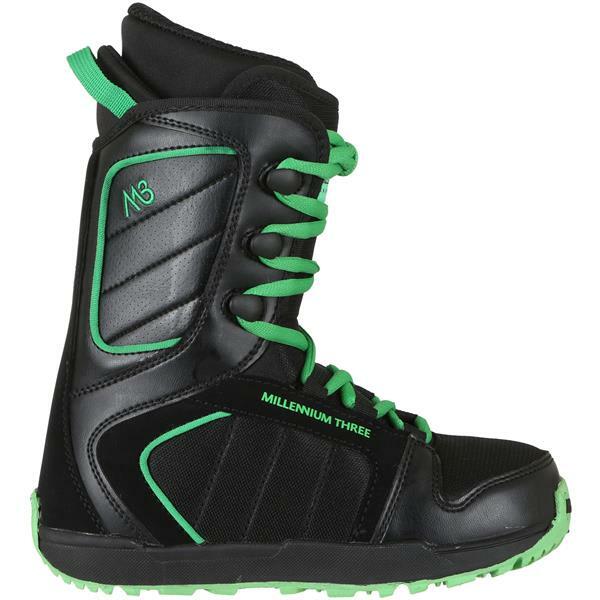 The black color is sure to go with everything and the green accents will be sure to please your shred partner. 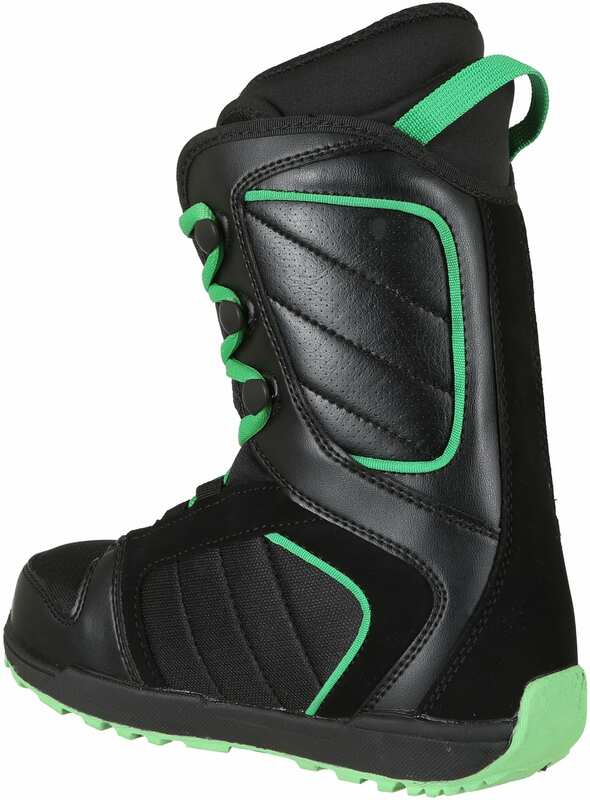 Send your kid out on the mountain in a boot they like aesthetically and a boot you feel comfortable with them wearing. Great price and run true to size! Do these boots run true to size or? Big? Small? Small. My boy wears a 4.5 in sneakers and I got him a size 5 boot and they fit well. They fit my son that normally wears a 5.5 with a little bit of room. He will probably get this season and next season out of them. True to size! We ordered what my son wears in Nike and they fit perfectly. Hope this helps! My son reported they were comfortable, he’s a shoe size 5. They run true to size! They have been a good boot so far! They run true to size and my 9 year old son loves them! These boots should run true to size.